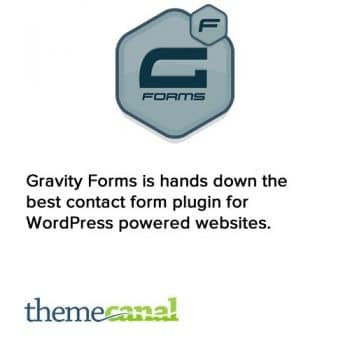 The Ultimate Frontend Solution for WordPress, this is the paid module to add extra features on WP User Frontend. Instantly download the WP User Frontend Pro (Professional Edition) plugin at a large discount, with 1 year of updates. No coupon code required, just “Add to cart”! 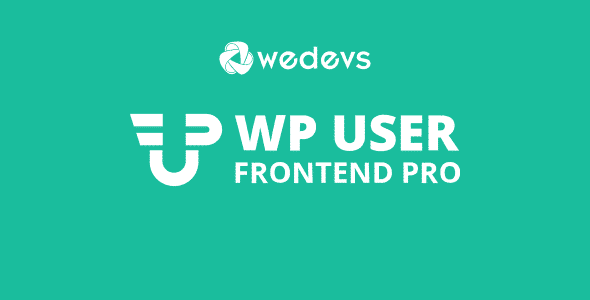 WP User Frontend is packed with features that completes all of your Frontend needs. Create forms, allow users to post anything from frontend. Insert forms into pages using shortcodes. Create registration forms and profiles easily with templates and assorted fields to customize forms. coming soon An essential frontend feature for any website is now even easier to create with our one click templates. Earn from subscription based posting on your site and pay people with built-in gateways. You can restrict content for your premium users only with just a shortcode. With just a simple shortcode, give your registered users an individual dashboard of their own. The most vital and powerful feature of WP User Frontend. Get everything to let your users manage and work from the frontend. Design with an intuitive UI with a drag & drop form builder to get your frontend needs made ready quickly! Build exclusive submission forms as you can use custom post types and custom taxonomies in reference to each other. Using our 17+ custom field types, you can build a form for anything. Allow your guests to post from the frontend with full capabilities. Registration and profiles can range from basic to very diverse, which can make form creation a hassle. With our templates and generous types of supported fields, WP User Frontend becomes your trustworthy tool to get you on top with the task. Get all required fields to build a complete registration form with only one click. Drag and drop to build the form. With a shortcode, users can update their profiles from the frontend. All profile builder forms can be assigned to WordPress user roles. Registered users get an account page from where they can access all his/her posts, payments, comments etc. Register hundreds of users onto your site and use their profile fields to build a database of your requirement. Subscriptions are a great way to manage submissions on any type of professional site, like listing, advertisement, product or even high traffic blog. Charge users in multiple ways. Built-in payment gateways and withdraw policies allow hassle free transactions on your site. Using this subscription type, you will be able to earn with every post on your site. Lock high value submissions and quality contents (or segments) on your pages for your premium users only. Do you want to build a site where guests can write their own stories? Yes you can! Create as many custom fields your form needs. Choose your custom fields from our 17 predefined field types. WP User frontend can also capture the custom fields from other installed plugins as well! Add custom taxonomies to your form. Use them as drop-down, multi select or check-box list. WP User Frontend supports custom post types. 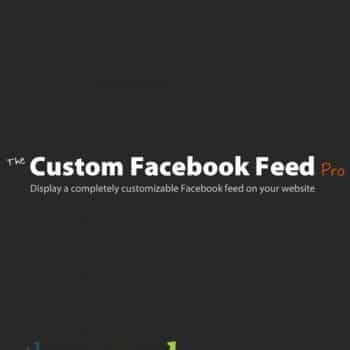 So, with it you can create any types of posts/pages/custom post types on the fly from the frontend. Build unlimited forms. Create as many variations you want, customize them and unleash your creativity. With WP User Frontend, users can post on your site without needing to register. It can also be configured to auto register the guests by their provided name and email address. Users can create products directly from the frontend using the WooCommerce supported frontend form. Use this to redirect users to a page, a custom page or show them a flash message after successful post submission. 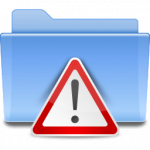 Allow users to upload image into the post with file size and format restrictions. Excellent for use in normal posts or registration forms. When a post is submitted, you can directly publish the post or set it to pending for reviewing before publishing. Handy for maintaining quality of the published contents and blocking spammy posts. Get notified when a user submits a post, even be notified when edits are made. You can get all the post information in the mail without checking your site dashboard. Post title, content, excerpt, tags, category, any custom fields are supported in the mail. Awesome, right? What could be more awesome when you can insert a action_hook in any place of the form and render the content from outside of the plugin. Yes, I am talking to the programmer in you! Even if you are not using subscription packs, you can still expire posts from specific forms. Yes, this is great! Custom Fields in Admin area too! Did you thought you can only use the custom fields in the frontend? What happens when you want to edit the post from WordPress admin panel? Oh, don’t worry, we got you covered. The same custom fields UI is also generated for the admin panel, so you could edit the same way you would in frontend. Want to register your users with extra sets of informations? Add extra fields and elements to your registration form easily. Need to register users on your site with different roles? All forms come with different role settings, a life saver! Get rid of spammers with the most popular method, captcha! We currently support reCaptcha and Really Simple Captcha engines. With a simple shortcode, all posts of an user can be displayed in frontend. Users can edit them or delete them. List all your posts in frontend, edit them or delete them. Also see them with their featured image. Be the first to review “WP User Frontend Pro (Professional Edition)” Click here to cancel reply.